Jalan Lang, Taman Berkeley, Klang. WHAT started as an accidental food business inherited from a friend, has turned into a much talked about food destination in Klang. Aptly named Number One Claypot Chicken Rice Restaurant, the humble eatery serves up only claypot chicken rice and home-made soup. Located at the corner of Jalan Lang in Taman Berkeley Klang, visitors here will be able to see rows of claypots all lined up, bubbling and boiling over the stoves. A cook is always close by, expertly manning the pots, scooping rice grains into the claypot and allowing it to cook to perfection. 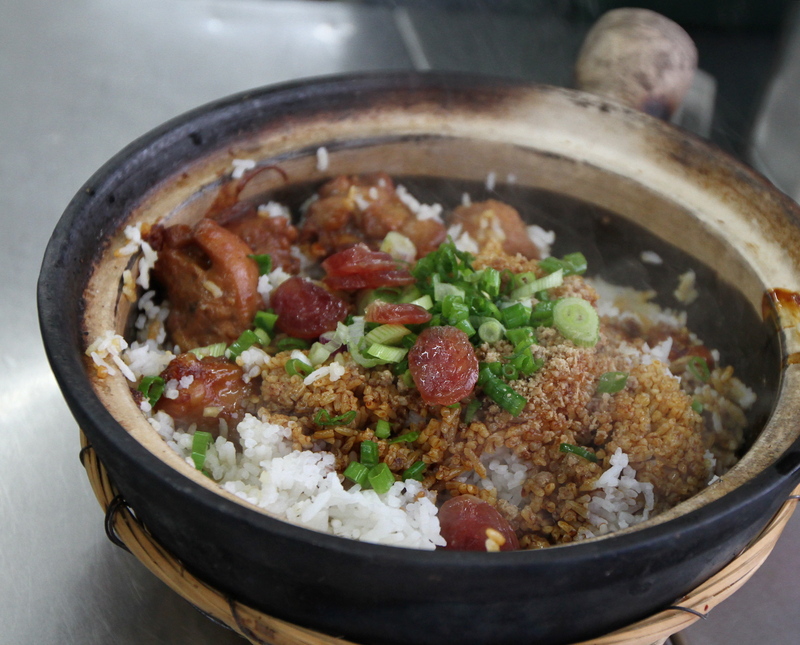 Some say, the secret to a tasty claypot chicken rice dish lies in the slightly burnt rice, which lines the inside of the pot, as it gives the dish extra flavour and smokiness. 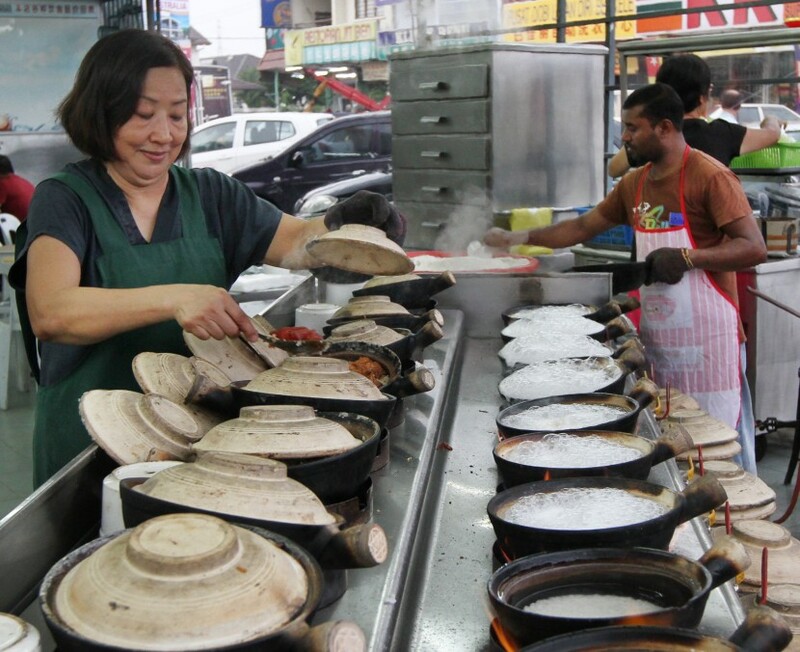 “Honestly, I don’t know what’s so special about my claypot chicken rice that keeps customers coming back for more,” said down-to-earth owner Tan Guat Ngor, who admitted to not having a secret ingredient in her signature dish. When StarMetro visited the place at about 6pm, it was already filled with customers, with some waiting for their takeaway orders to be readied. We liked the taste of the dish, but would have liked the bottom layer to be a little more burnt. Tan, however, does include a generous portion of chicken inside, along with waxed meat and salted fish which give this claypot chicken rice its sumptuous flavours. Tan said the business which started in 1986, was inherited from a friend who wanted to cease operating because of bad business. Tan decided to step in as she thought it was a waste to let the business die down. “I asked my friend to teach me how to cook the claypot chicken rice so I could continue her trade. The eatery in Klang is often packed with customers wanting to have claypot chicken rice for dinner. “I did not know then how it would turn out but I have never stopped since, or even changed the recipe,” she said. 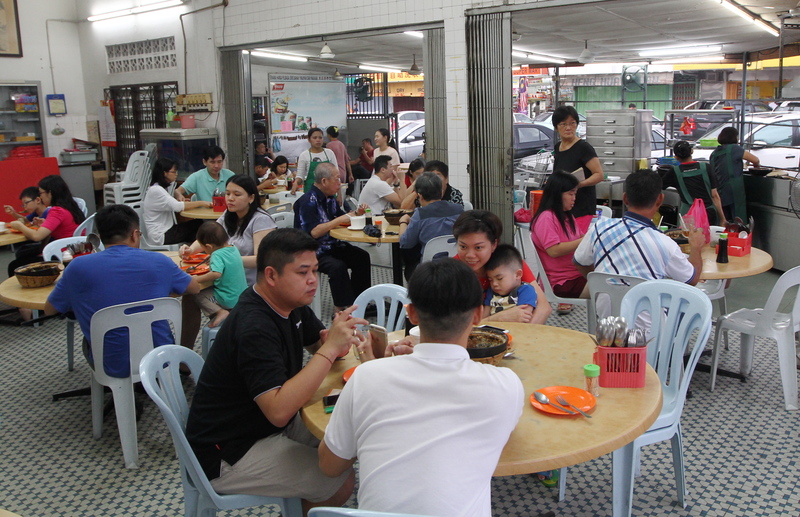 The mother of two girls and a boy, said people from all walks of life came to savour her claypot chicken rice and many were regular customers. Tan starts operating daily at 5pm and the food is usually sold out by 10.30pm. She takes a break on Tuesdays. Tan prices her dishes by the portion with the cheapest at RM7.30 for one portion followed by RM14 for two and RM17 for a portion for three. “I will operate as long as I can, but I’m not sure if my children want to take over the business because all of them have their own jobs now,” she said.